General Cigar Company has recently unveiled a new line extension to Cohiba Nicaragua. The new size is called the Cohiba Nicaragua Pequenos. The new offering will a 4 1/8 x 36 small cigar offering and will be sold in tins. Cohiba Nicaragua made its debut at the 2014 IPCPR Trade Show. While the cigar features Nicaraguan puros, the cigar is made in Nicaragua – the first Cohiba in General Cigar’s portfolio to be made in that country. Each tin contains six cigars. 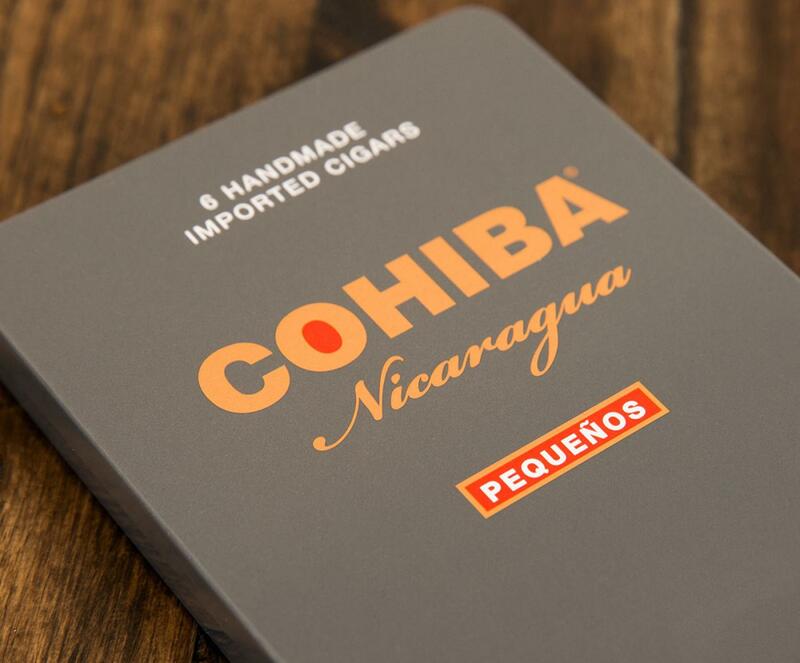 Cohiba Nicaragua Pequenos is also sold in packs where each pack contains five tins. The Cohiba Nicaragua is described as a proprietary blend. As mentioned, it is not a Nicaraguan puro and uses a Sun Grown Colorado Oscuro wrapper from Honduras. While the Cohiba Nicaragua Pequenos is sold in six pack tins,the N60, N54, and N45 vitolas are offered in 16 count boxes ande N50 En Crystale is sold in an 8 count box.